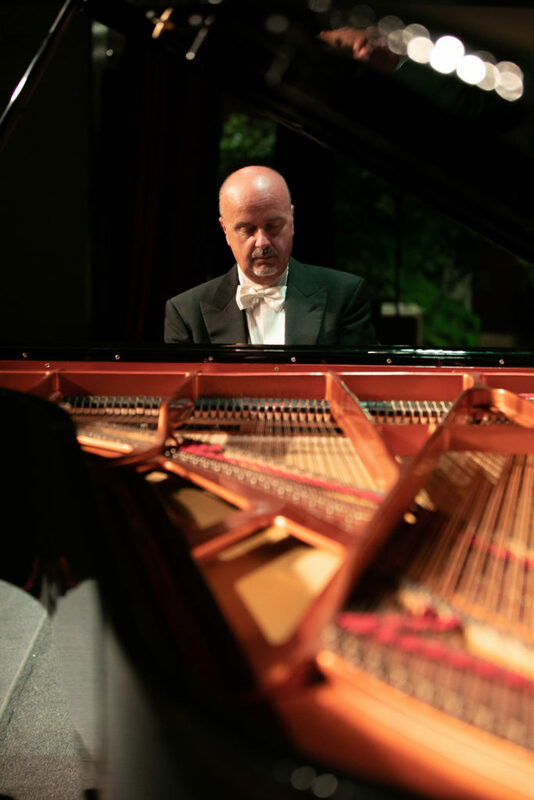 Antonio Di Cristofano completed his piano studies in 1986 at the Conservatory “L.Cherubini” in Florence, under the supervision of M° Bacchelli. 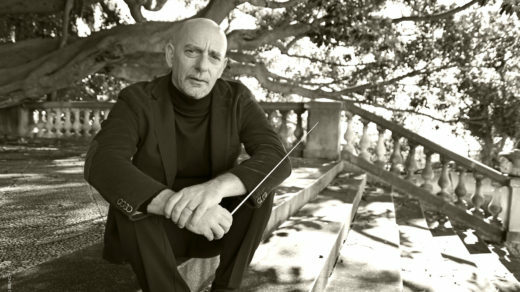 He has perfected with M° Damerini.He played as a soloist with the Orchestra of the University of Milan, Strings Orchestra “Cantelli” of Milan, Chamber Orchestra of Florence, Symphony Orchestra of Lecce, Magna Grecia Orchestra, Sicily Symphony Orchestra, Solisti Aquilani, Milano Classica Orchestra, Sinfonica Abbruzzese, Sanremo Orchestra, FVG Mittleurope Orchestra, Radio Orchestra of Bucarest, Orquesta Sinfonica de l’Estado de Mexico, University Orchestra of Houston, Radiotelevision Albania Orchestra, Istanbul Chamber Orchestra, Praga Radio Symphony Orchestra, North Czech Philarmonic, Czech Philarmonic Orchestra, Izmir Symphony Orchestra, Iasi State Philarmonic, Wiener Mozart Orchestra, Toronto Sinfonia, Philarmonique de Montreal, Jerusalem Symphony, Slovak Filharmonie, Kaerntner Sinfonieorchester, Dubrovnik Symphony Orchestra, New York Chamber Players, Orquestra do Norte, Sinfonica di Sao Paulo, Thuringen Orchestra, Moravian Philharmonic, Euro Sinfonietta Wien and recently with La Scala Milan Orchestra, with conductors like G. Taverna, M. Bosch, M. Alsop, C. Schulz, M. Zanini, C. Olivieri-Munroe, L. Svarovsky, A. Chernushenko, M. Sieghart and many others. He played, in Italy, for the most important Festival: the “Verdi Theatre” in Florence, the “Festival dei Due Mondi” in Spoleto, “Asolo Musica”, the Theatre of Alessandria, the “Bibbiena Theatre” in Mantova, the “Puccini Hall” at the Conservatory “G.Verdi” in Milan, “Politeama Theatre” in Palermo, “Auditorium San Barnaba” in Brescia, Festival Duni in Matera, etc., in Romania Enescu Festival in Bucarest, Espana (Festival de Vigo, Toledo Festival, Jeunesses Musicales de Sevilla), Mexico (Belles Artes Palacio, Revueltas Auditorium), USA (Moores Opera House of Houston, Gates Concert Hall in Denver, Washington International Piano Festival, ecc), Turkey (Istanbul, Izmir and Adana), Croatia (Dubrovnik – Rector Palace), Czech Republic (Praga – Smetana Hall and Dvorak Hall), Russia (Ciaikovsky Conservatoire), South Korea (Seoul – Leeum Auditorium), France (Nancyphonies Festival), Austria (Konzerthaus – Klagenfurt), Germany (Gasteig – Munich), Chopin Society Warsaw, Canada (Toronto – Glenn Gould Studio), Grieg Festival in Norway, Yamaha Concert Hall in Tokyo, Shanghay and Shenzen piano festival an Hong Kong City Hall (China), Swiss, Albania, Israel, England, Portugal, Bulgary, Ukraine, Belgium, Brasil, Serbia, Argentina, Sweden, South Africa, Estonia, Finland, Egypt, ecc.He recorded cds with Velut Luna and Millenium label and recently a newone titled Encores. In 2006 and 2007 he mades the debut in Carnegie Hall – New York and in Konzerthaus and Golden Hall MusikVerein in Wien. 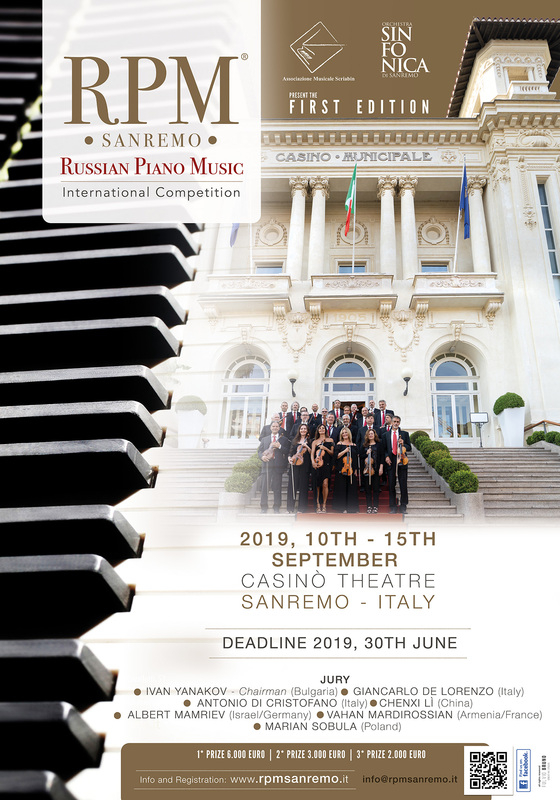 He is often invited as a judge in international Piano Competition (Compositores de Espana – Madrid, Varallo, Cantù, Osijek, Gante – Pordenone, Parigi, Viardo – Belmont, Rachmaninov – Moscow, Iturbi – Valencia, Parnassos – Monterrey, Astana Merei International Competition -Astana, Baltic piano Competition -Gdansk, Bajic Memorial -Novi Sad, Hong Kong International Young Pianist Competition, Nordic Piano Competition – Malmoe, Mozart Piano Competition – Aachen, Louisiana Piano Competition, Cleveland Piano Competition, ecc) and to teach in Ciaikovsky Conservatory in Moscow, Valencia Conservatory, in the Summer Academy in Dubrovnik, in Shanghay, Xiamen and Ningbo Conservatory in China, in the SMC Academy in Seoul, In Valletta International Piano Festival, in Sofia Conservatory, in Thessaloniki Conservatory, in The Orpheus Academy in Wien and in many USA University.He received three times the Paul Harrys Fellows from Rotary Club. 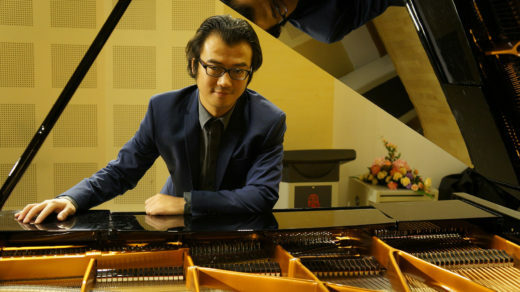 He is Guest Professor at the Xiamen Conservatory in China and in the Summer Academy Orpheus in Wien. 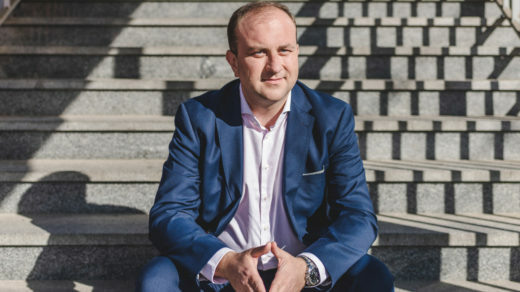 In 2018, he received the “Grifone d’Oro Prize” from the Grosseto City.